Welcome to The Starboard! Highly sought after 2015 new construction building in the Historic Charlestown Navy Yard! Sparkling and Impeccable Large One bedroom with Den! Many Custom upgrades throughout! Towering ceilings, crown moldings, recessed lighting, customized closets! Sundrenched over-sized windows! and 9′ doors one block from waterfront restaurants and marinas! 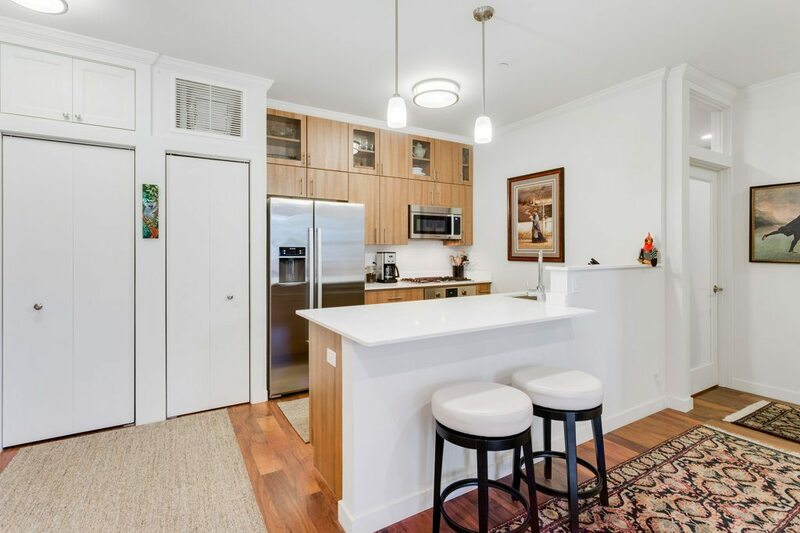 Walnut flooring, efficient Gas Heat, Gas Cooking, all premium Bosch appliances, in-unit Washer/Dryer, Pure White Elemental Quartz Countertops, high-tech electrical elements! Open & Airy throughout! Lots of natural light with overlooking First Avenue! Minutes from the USS Constitution, National Historic Park and Boston Harbor Water Shuttle service! Pet friendly, elevator, easy T-access, Free Navy Yard Shuttle Service for residents. Tons of on street parking and convenient rental garage parking available. Navy Yard luxury Living at a Great Price! Click Here to view More Photos and the Floorplans!